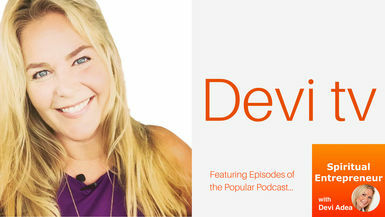 In this episode, Devi chats with Holley Mignosi about being “fit to lead” - the New Model of Fitness. Holley is on a mission to guide female Speakers, Entrepreneurs, and Thought Leaders to Lose Weight and Fall in Love with their Dream Body, by mastering proven Transformational Techniques and Releasing Hidden Habits that hold them back so that they feel Fit To Lead with Passion, Purpose, and Charisma on Command for all of life's stages. Eating "Lean, Clean and Green"
About Holley:Holley’s mission is to L.I.F.T. women to step into their Dream Body and Dream LIfe. Holley began helping models and actors get in top shape as an Image, Fitness, and Runway Coach in 1991. Then in 2005, she opened LIFT Beyond Fitness Training Studio in San Diego. Motivating mom’s, brides, business executives, and spiritual entrepreneurs to lose weight, feel strong and confident quickly became a labor of love for Holley. Now she waves the flag of health and fitness freedom for all.